Larks in Transit is a compendium of travelers' tales and the general shenanigans of 20 years as a travelling comedian. 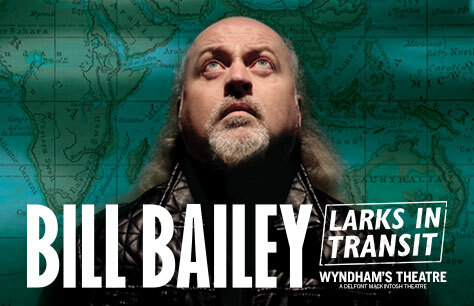 With musical virtuosity, surreal tangents and trademark intelligence, Bill Bailey tackles politics, philosophy and the pursuit of happiness. Plus, he fashions a symphony from a ringtone, tells the real story of Old McDonald and a re-imagines the Stars and Stripes. Two decades of touring larks from a comic described by the Daily Telegraph as "the brainiest comic of his generation".